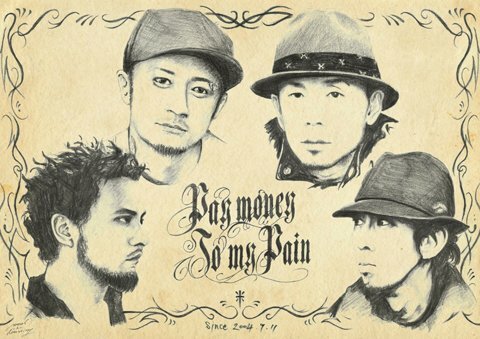 Prior to the release of the forthcoming 4th album “gene” Pay money To my Pain has unveiled very sad and beautiful lyrics PV “Rain”. The song was written by K before he passed away as was mentioned earlier. Now, the new album will drop on November 13. In making of the upcoming record took part many friends of K and PTP. In respect of the main representative of Japanese loud/post hard-core scene Kenta Koie(vo.) and Terufumi Tamano(prog.) from Crossfaith, KYONO(vo.) from WAGDUG FUTURISTIC UNITY/T.C.L, Masato(vo.) from coldrain, Hazuki(vo.) from lynch., JESSE(vo.) from RIZE/The BONEZ, and Taka(vo.) from ONE OK ROCK collaborated on the recording of 5 songs.